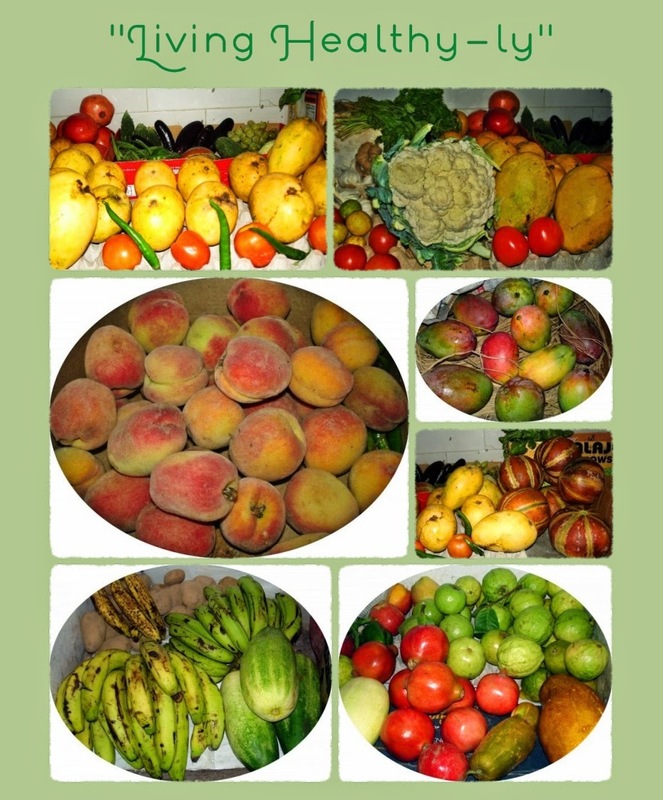 This is the image which you will find inside our kitchen cupboards - heaps of fruits and vegetables, if it's a day or two after we have gone to the market, which we do every 4 or 5 days walking. Sometimes we ask one of our regular sellers to drop some items like 5 kls. pomegrenate, papayas, watermelon, onion, banana, greens, cucumber, a tray of egg, etc. -stuffs that don't need much personal picking like mangoes, peach or ado. When we go, we walk to the market which is about 1500 meters carrying 4 big clothing bags -polythene and other plastics are strictly a no-no for us, as much as possible. So, we have been on this diet for over a year now - more on raw foods such as seasonal fruits and vegetables. I do the least cooking, I think. One tea in the morning and in the evening. Then one cooked meal like bun toasting with salad (salad is uncooked, of course) or aloo paratha with palak paneer or just plain and simply-made greens like boiled lungdu (fiddleheads fern)/mustard greens/spinach/beetroot leaves, etc. with tomatoes and sauteed garlic. So almost every day, there will be only one major cooking. Sometimes, depending on how many varieties of fruits and vegetables we have we ditch cooking altogether, except for two small cups of teas. Living minus the cooking is doable, very doable but I guess I would like to cook some stuffs sometimes.